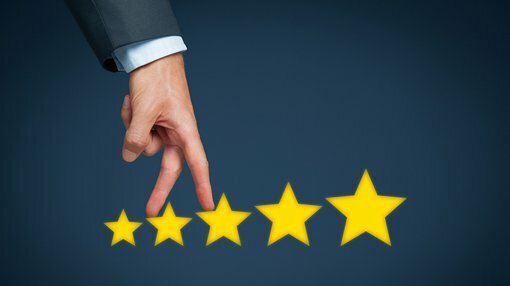 With Syrah Resources (ASX: SYR) having informed the market as recently as last week that its Balama graphite project located in Mozambique was on schedule and budget with nearly half of construction completed it may be timely to focus on a broker report released yesterday by Macquarie Wealth Management. The broker noted that mine development is expected to start in the current quarter leading into commissioning of the plant in the first quarter of 2017. First ore is scheduled in the three months to June 30, 2017 with commercial production being achieved towards the end of calendar year 2017. This indicates that SYR is at the pointy end of things and with the company’s shares having pulled back from a high of $6.60 less than three months ago to yesterday’s closing price of $4.07 it may be a useful entry point for believers in the long-term graphite thematic. On this note it is worth tracking the share price of lithium producer Orocobre (ASX: ORE), a company exposed to a similar theme as graphite producers. While its shares surged in 2013/14, it came off the boil in 2015 falling from circa $3.00 to trade as low as $1.33 just prior to the plant ramping up to full capacity. As the plant kicked into gear, so did the company’s share price, increasing nearly four-fold in six months to hit a high of $5.05. Share price fluctuations are not an indication of future trading patterns and any interest in companies based on share price information should be met with a cautious investment approach and professional financial advice. This isn’t an unusual trend in the mining industry. Perhaps it is because the lead into production isn’t a glamorous time in terms of new exploration success, upgrades in resources and other market moving events. However, it is this hiatus which appears to be at the centre of a lull in sentiment for Syrah Resources, a company poised to become a leading supplier of graphite to industrial and high-growth emerging technology markets. It could be argued that Syrah and other graphite producers have even better leverage to the lithium battery thematic than lithium producers. 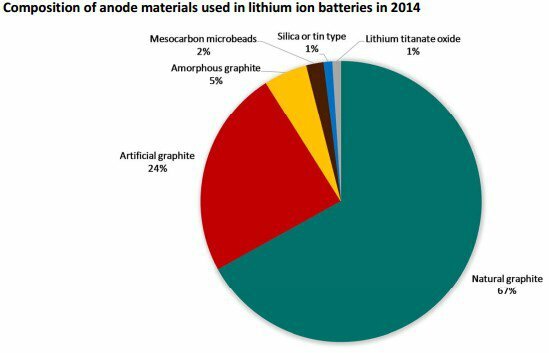 The graphic below shows the composition of anode materials used in lithium ion batteries in 2014. There is no doubting the quality of SYR’s Balama asset with sufficient reserves in place to support more than 40 years of mine life at projected rates. Furthermore, the company has a 50,000 tonnes per annum offtake agreement which validates the quality of its product and positions the group to become a major non-Chinese supplier of spherical graphite. In Macquarie’s view, the key catalyst for SYR will be the successful commissioning of the Balama plant and completing its first commercial sales. While the broker acknowledges that the company will not have any meaningful earnings until at least fiscal 2018, the ramp up from thereon in is substantial with the broker forecasting net profit to increase from $46 million in fiscal $2018 to $226 million in fiscal 2019. This represents earnings per share of 85.6 cents, implying a PE multiple of 4.7 relative to fiscal 2019 projections. It is worth noting that Orocobre is in a similar position in terms of having a lag time between initial production and substantial ramp up in 2019/2020. However, where the difference lies is in the PE multiple attributed to ORE.
Matthew Schembri from Citi ran the ruler over the stock in July and he is forecasting a core net profit of $34 million in fiscal 2019 representing earnings per share of 16 cents. This implies a PE multiple of 24 relative to Monday’s closing price of $3.87. He has a target price of $2.22 on the stock and has attributed a sell/high risk recommendation. Consequently, when comparing the two, SYR looks by far the better investment with Macquarie’s 12 month price target of $6.61 implying share price upside of 60%, supporting the broker’s outperform recommendation. The question is whether it is better buying SYR now at circa $4.00 or waiting until what would seem an inevitable transition to production in 12 months’ time when prospectively it could be trading in line with Macquarie’s price target. It should be noted that broker projections are only estimates that may or may not be achieved and that share price fluctuations and price targets are not an indication of future trading patterns. Consequently, investment decisions should not be made solely on the basis of information contained in this article.